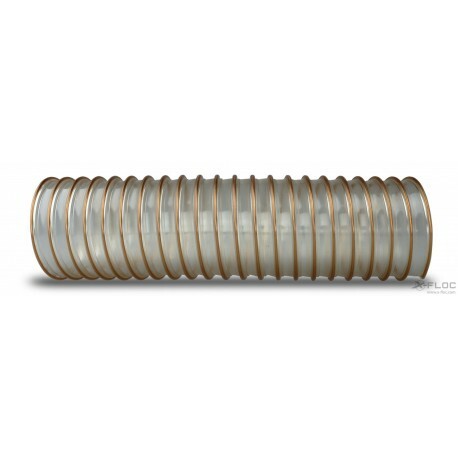 Type: Delivery hose NB38, L 20m, extra strong Temp. : -40°C to 100°C Applications: extraction and transport of abrasive, granular media Features: very smooth bore, high abrasion resistance, good cold flexibility, oil and petrol-resistant, free of halogens and softeners Minimum bending radius: ca. 100mm Weight: ca. 0.8 kg/m Max. working pressure / vacuum: 1.2bar / 0.5bar Size: D 38.0 mm Material: PU / steel wire Including retaining belt.